The HPI5 is a 5" ultra compact, passive professional sound reinforcement loudspeaker. Ideally suited to applications that require an ultra low profile solution. 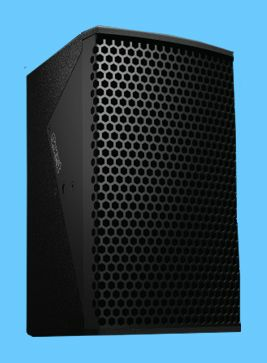 Its small footprint still manages to deliver medium to high output making the HPI5 ideally suited to short\medium throw environments.The HPI5 is optimized for high vocal range intelligibility as a small PA system, or as a fill\delay loudspeaker in larger indoor or outdoor systems. A full-range system can be created with the addition of an optional subwoofer (HPI12S). The HPI5 high frequency section comprises a proprietary 3/4 inch horn driver matched to a custom designed symmetrical wide dispersion constant-directivity high frequency horn. The sound signature of the HPI5 has been created in line with the entire range of Quest HPI systems making it the perfect companion to a larger system eliminating the need for extensive correction or a dedicated system processor.